Many expert gardeners and hobbyists have fruit trees in their backyard, even with very limited space. How do they do it? The trick is to prune fruit trees to keep them low, thin and vibrant. If you are thinking of starting your own fruit orchard or just planting a beautiful almond tree in your backyard, here is a guide on how to successfully manage the size and height of your trees. Other than plants and flowers, you can go fruit-bearing trees, vegetables and herbs to make your garden more diverse. You don’t have to be a master pruner to plant a fruit orchard in your backyard. Space is also not much of an issue. Even a small parcel of land can be transformed into a plush and colorful garden. The primary purpose of pruning is to cut away dead or overgrown branches and stems to boost the fruitfulness of the tree. Basically, all pruning has a dwarfing effect on trees. But while the tree is still young, you should already start pruning it if you want to achieve a manageable size. Not only does a low, thin tree save space in your garden, it will make harvesting a lot easier for you. Pruning is both an art and a science, and anyone can do it, not just arborists. It takes a great amount of time, patience and hands-on experience, though, to successfully demonstrate a good pruning. You can start by pruning dead or diseased trees and see if sprouts are coming from the base of the trunk. To clean up a tree, you should also remove “water sprouts” or vertical branches. Also, if you notice branches that are competing with each other on a single crotch, keep the healthiest branch with the best crotch angle. The next step is to thin out the tree to allow light and air into the canopy. This will enhance food production and keep pests and diseases away. Your goal should be to have evenly-spaced branches splaying out in a fractal-like pattern. Branch patterns and angles are important considerations to make sure that fruits are not too high to pick and that branches don’t break when laden with fruit. If you already have a mature tree in your backyard, you can still lower its height. But you can’t do this on your own in one season because it is a drastic operation. Beaver Tree Services can do the job for you so you can make the most out of the time you have and don’t have to wait for the next ideal pruning season. 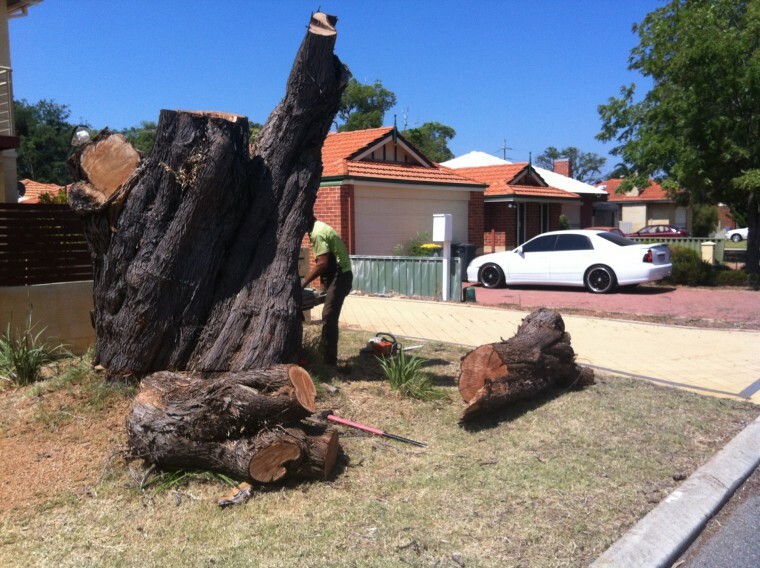 Contact us today to know more about our tree pruning services.